You just had to know that Nicki Minaj would be leading the way on the worst dressed list. We get it that she’s always trying to make an ironic statement, but she still looks hideous. Though Alicia Keys looked hot on stage later in the night, she was a disaster on the red carpet in her shapeless Alexandre Vauthier dress. Jessica Szohr paired a black bodysuit with a thigh-high split skirt. If the outfit wasn’t atrocious enough, she accessorized with a leopard print head scarf and ugly black boots. We shouldn’t expect much from a guy named Riff Raff. 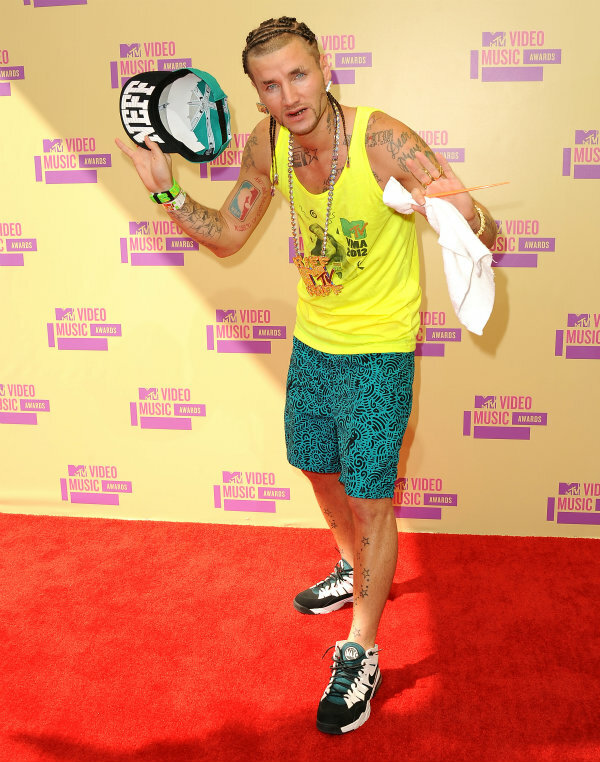 His yellow tank, sneakers and ridiculous tattoos were definitely some of the worst things we saw on the VMA red carpet. Congratulations to Amber Rose on her pregnancy, but being pregnant doesn’t keep her off the worst dressed list.